This is the first of Nemirovsky’s novels I have read. I’d heard her story and was intrigued. She was born in 1903 in Kiev to wealthy family, who immigrated to France. Well-educated, she became a prolific and respected writer in Paris. However, her life and talent were cut short when she died in 1942 in Auschwitz. Her posthumous career has taken on a life of its own. This book in particular was kept locked in a safe for decades and only released in 2006. It opens on the trial of Gladys Eysenach, the main character. She is accused of murdering a young man named Bernard. As the trial proceeds, she does little to defend herself. Rather she allows others to come to their own conclusions. She would rather be found guilty than admit to the terrible truth she is trying to hide. Gladys is obsessed with youth. Her beauty is her only concern. As the novel progresses (through flashbacks) it becomes clear that she will never be content and only serves to act as her own downfall. Gladys’ selfishness is stunning. In 1914 Gladys lived near Antibes in a beautiful but uncomfortable house, built in the Italian style; it had belonged to the Counts Dolcebuone and was named ‘Sans-Souci’. ‘I only rented it because of its name, ‘Care-free’, for it encapsulates all of life’s wisdom,’ she would say. The rooms were vast and cold, the furniture covered in threadbare red damask. But the dark walls softened the glaring light of the Midi and Gladys likes that. Every day, just after she woke up, she would pick up her mirror and study her features, and she would find pleasure in the glowing shadow that softly lit up her face. ~Pg 59. Although it is written in the third person, it is from Gladys’ point-of-view. The reader sees her disintegrate, slowly unravelling. The main weakness in the novel is the repetitive nature after the halfway point. The plot is left in the background — until the last few pages. However the repeating thoughts do note Gladys’ static nature. She is unchanging, ungrowing, even in the face of losing her freedom. Her obsession has in turn consumed her and she is now unable to change. The book reads more like a novella. It’s easily read in a day. 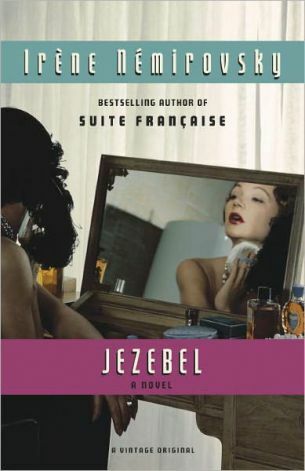 I found it very reminiscent of George Sand and her Leone Leoni, and of James M Cain’s Mildred Pierce. I’m very glad her work has been “rediscovered” and look forward to reading more of it. A great many thanks to Audrey and Courtney at Vintage Anchor Books for the review copy.